Harest Responsive Multi-Purpose Theme is amazing. 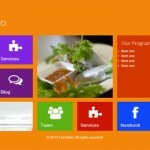 This theme provide you 5 color variation that easy to change. Never code again with the awesome ThinkUpThemes framework, use this to customize just about everything on your site. There’s 2 header layouts, built in social media links, boxed layout styles and so much more. Plus with the custom widgets you can now create a website that looks great for any business. The fully responsive layout means Harest looks great on every device and always super sharp with the HD retina ready display. Use the page builder to create unique page layouts in seconds. Simply pick a module, drag and drop it wherever you want. 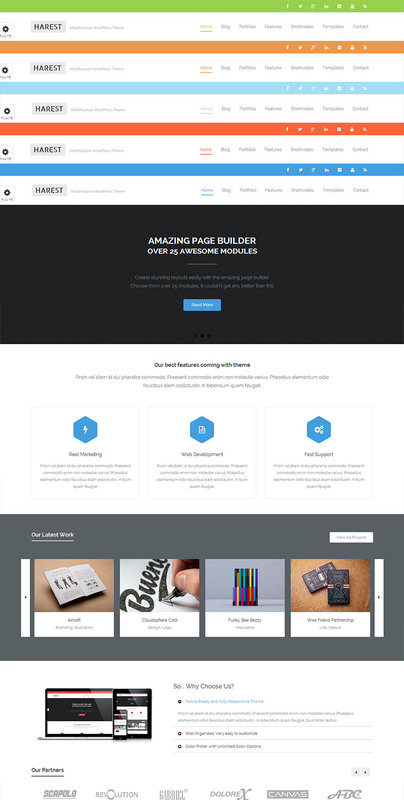 The modules are exclusive to ThinkUpThemes so you wont find them in any other Page Builder. There’s also hundreds of stunning shortcodes so it couldn’t be easier to create a custom site. Harest Responsive Multi-Purpose Theme allows you to change this color in one click with in admin panel. 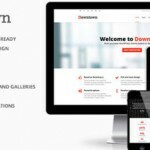 This theme is fully responsive and provide you many functionality.